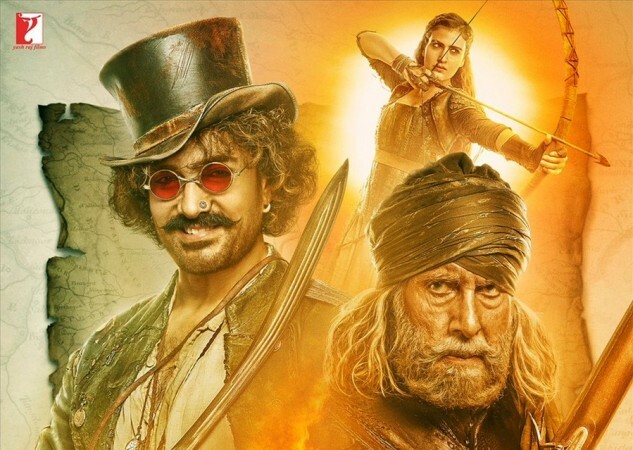 Touted as one of the biggest films of the year, Thugs of Hindostan (Thugs of Hindustan) changed the predictions of the trade pundits and critics with its disappointing plot and mindless sub-plots. Touted as one of the biggest films of the year, Thugs of Hindostan (Thugs of Hindustan) changed the predictions of the trade pundits and critics with its disappointing plot and mindless sub-plots. After fans and critics snubbed the film left, right and centre; Gaiety owner Manoj Desai too has come forward and slammed the film. In an interview, Desai said, "Jinko itna bada superstar kehte hain, jo mere dil ke bahut kareeb hai. Jinke satah maine 'Khuda Gawaah' banai, unki ye picture dekh ke bada mayoos ho raha hoon. Vo jab, jab aaye hain tab, tab picture mein lay aayi hain. Baaki 'Thug' ne to thug hi liya hai." He also said, "Main kabhi sapne mein bhi nahi soch sakta thha ke aisa hoga. Maine expect kiya thha ke ye Aamir ki aur Amit ji ki film hai to zaroor kamaal karegi aur wahi sochke maine mere do 1000 seats wale theatre mein picture lagayi thhi. Badi mayoosi ho gayi." Delving further into the topic, he said, "Public samajh nahi paayi director ko. Sabse pehle director ko chullu bhar paani mein doob marna chahiye ke itne bade starcast ke vo picture barobar bana nahi paaya. Picture tootti hai beech beech mein. Public ko assume karna padta hai." Talking further he said that he wouldn't trust anyone and its because of this trust that such problems happen. He also said that he wouldn't presume that the next big releases '2.0' and 'Zero' would do well and he would just wait and watch. He also stressed on the fact that the audience has now evolved and we can't serve anything to them giving an example of how small budget films like 'Badhai Ho' and 'Andhadhun' are doing well.